Vincent Lemaur received a Master degree in Chemistry from the University of Mons in 2001. In 2005, he received a PhD in Sciences from the University of Mons. 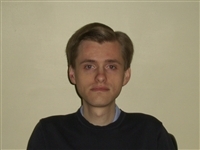 After two years as research assistant at the University of Mons, he joined the Materia Nova Research Center staff in 2007. From 2010, he is back to the University of Mons as research scientist. His research activities deal with the study of the structural and opto-electronic properties of organic (conjugated) molecules and polymers by combining molecular dynamics techniques with quantum-chemical approaches. S. Hoyas, V. Lemaur, Q. Duez, F. Saintmont, E. Halin, J. De Winter, P. Gerbaux, and J. Cornil. Donor-Acceptor Stacking Arrangements in Bulk and Thin-Film High-Mobility Conjugated Polymers Characterized Using Molecular Modelling and MAS and Surface-Enhanced Solid-State NMR Spectroscopy. S.R. Chaudhari, J.M. Griffin, K. Broch, A. Lesage, V. Lemaur, D. Dudenko, Y. Olivier, H. Sirringhaus, L. Emsley, and C.P. Grey. Chemical Science 8 (2017) 3126-3136. Neutral Mononuclear Copper(I) Complexes: Synthesis, Crystal Structures, and Photophysical Properties. Y. Sun, V. Lemaur, J.I. Beltran, J. Cornil, J. Huang, J. Zhu, Y. Wang, R. Fröhlich, H. Wang, L. Jiang, and G. Zou. Inorganic Chemistry 55 (2016) 5845-5852. Unraveling Unprecedented Charge Carrier Mobility through Structure Property Relationship of Four Isomers of Didodecylbenzothieno[3,2-b]benzothiophene. Approaching Disorder-Free Transport in High Mobility Conjugated Polymers. High-Mobility Hole and Electron Transport Conjugated Polymers: How Structure Defines Function. Y. Olivier, D. Niedzalek, V. Lemaur, W. Pisula, K. Müllen, U. Koldemir, J. Reynolds, R. Lazzaroni, J. Cornil, and D. Beljonne. Advanced Materials 26 (2014) 2119-2136.